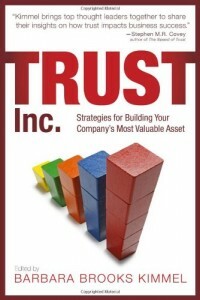 Trust is a subject full of wise-sounding sayings that often just reflect muddled thinking. “Trust takes time” is one such case. Another is that trust can be destroyed in an instant. But the all time winner for trust obfuscation has to be Ronald Reagan’s “Trust – but verify.” A deceptively simple statement (taken from a Russian proverb), Reagan used it to good effect for his own political positioning – and Gorbachev appreciated it as well. of an old Russian maxim, doveryai, no proveryai – trust, but verify.” “You repeat that at every meeting,” Gorbachev replied. “I like it,” Reagan said, smiling. The statement was the acknowledgement that major agreements between major powers are never undertaken lightly. The negotiations leading up to the treaty took years, and were filled with many ministers and bureaucrats addressing many complex issues. In such an environment, Reagan’s quote was for public consumption. Gorbachev was very much in on the joke, which wryly – and publicly –acknowledged the need for global powers to proceed with enormous caution. Yesterday, German Chancellor Angela Merkel lashed out at the US for revelations that the NSA had tapped her phone. Merkel felt so strongly about the matter that she personally called President Obama. We are allies. But such an alliance can only be built on trust. That’s why I repeat again: spying among friends, that cannot be. What happened to “trust but verify?” Is Merkel being naive? Does she not get the game of international intrigue? Is she shrewdly playing domestic politics, getting on the popular side of an Ugly American scandal? I don’t think so. I think she was genuinely outraged – and properly so. A parent might say to a teenager about curfew, “Sure I trust you – up to a point. But I’m going to check up on you, you can be sure of that.” The teen may be upset, but not legitimately offended. But if that parent says, “Absolutely I trust you,” and then plants a microphone in the teen’s car without telling him – that is cause for outrage. “Trust but verify” is an oxymoron. It means there’s no trust. 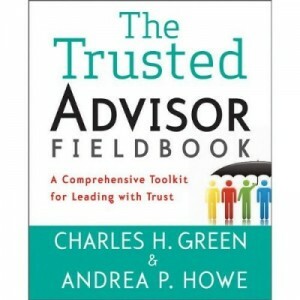 It may be right, necessary and understood that you’ll have verification; but let’s not call it “trust.” Trust is about risk-taking – verification is about risk mitigation. This is true even at heads of state level. Every nation knows that intelligence gathering is going on all the time. It’s not only tolerated, it’s understood as necessary to prevent incidents based on ignorance. But not when it’s a baldfaced lie – even if the lie is implicit. I have little doubt that Merkel didn’t believe the US would tap her phone. And the US, I’m sure, did nothing to persuade her otherwise. So when she found out, she was outraged. As any person would be. Heads of state are, among other things, people. The human proscription against being lied to extends even to them. Reagan and Gorbachev had a personal relationship, one which was important to them, and to history. Relationships matter. And, as Merkel apparently said to Obama, friends don’t spy on each other and lie about it. If you’re tempted to trust but verify – make sure the other party understands, wink-wink nod-nod, what you’re doing. If you’re not prepared to tell them you’re verifying, including implicitly denying it – then either don’t do it at all, or just don’t call it trust.